The human-animal relationship has been much studied over recent years, but little attention has been paid to the effects of the death of animals on people. 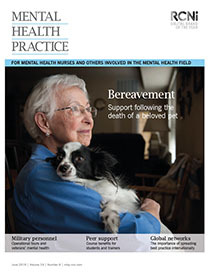 Grief following the death of an animal can be significant, yet such reactions can be viewed by friends, families, professionals and society as abnormal. Problematic and complex grief in animal owners is rare, but it can be compounded by a lack of understanding from others.